Over the past two years, Gladstone has been visited by 13 P&O ships. We are proud that our town has been included as a destination because of the unique vistas and experiences Gladstone can offer. With our busy harbour and industries all showcased in the finest natural deep-water harbour in Australia, at the gateway to the Southern Great Barrier Reef, Gladstone is a unique and fascinating city. Our exciting new cruise industry commenced with the safe arrival of the Pacific Dawn on 10 March 2016. The cruise ships berth at the Auckland Point Terminal facility at Auckland Inlet. Auckland Point is part of the Port of Gladstone, Queensland’s largest multi-commodity port with major cargoes including coal, bauxite, alumina, aluminium, cement and Liquefied Natural Gas (LNG) and now, of course, cruise passengers. The port has a total throughput of more than 100 million per annum. After you’ve strolled through Gladstone’s popular waterpark, East Shores and perhaps visited the Feast on East Markets, take a walk up Gladstone’s main thoroughfare, Goondoon Street. After conquering one of Gladstone’s many hills, you’ll be rewarded with a great view back over the water and some of the best shopping the region has to offer in the boutiques and retailers of our CBD. Goondoon Street begins with a boat-ramp, quite fittingly for a town with one of the highest rates of recreational watercraft ownership in the country, and Gladstone is a great place to wet a line. Sailing and fishing are amongst our favourite pastimes with local barramundi and reef fish cooked to perfection at many of our local restaurants. Gladstone is the home of one of Australia’s most iconic yacht races, the Brisbane to Gladstone, kicking off for the 70th time on Good Friday 2018. The heritage-listed Port Curtis Sailing Club which you will pass at the bottom of the hill hosts the traditional Yachties Party at the finish of the race. 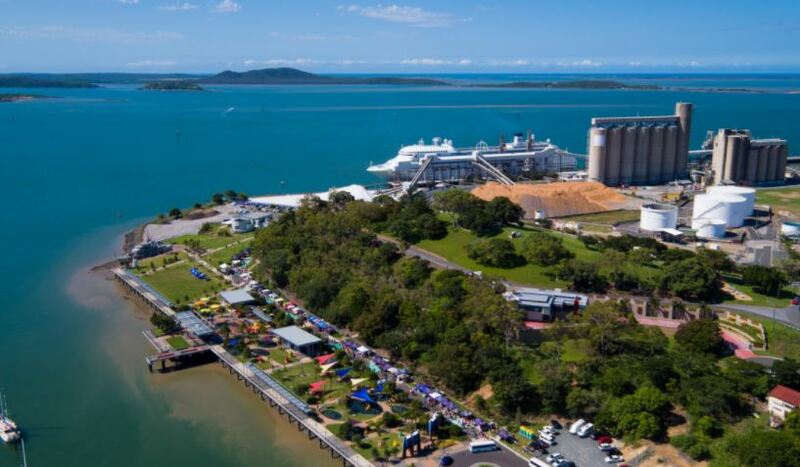 Gladstone’s biggest event, the Harbour Festival also takes place in and around the town all throughout the Easter period. We hope you enjoy your brief stay in our town. 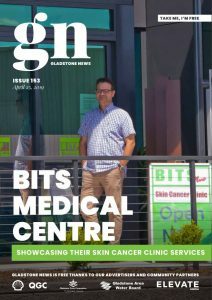 Like and Follow Gladstone News on Facebook for more community news from Gladstone.